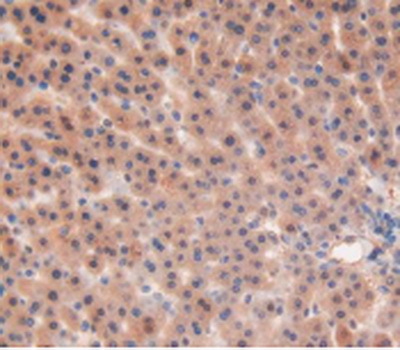 The antibody is a rabbit polyclonal antibody raised against MMP12. 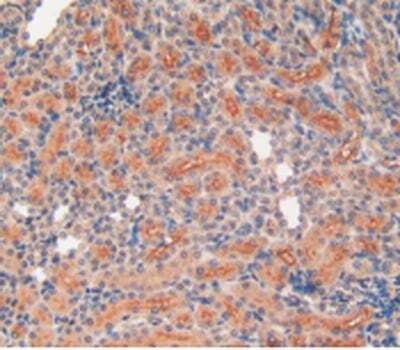 It has been selected for its ability to recognize MMP12 in immunohistochemical staining andwestern blotting. Store at 4 degree C for frequent use. Aliquot and stored at -20 degree C for 12 months. Avoid repeated freeze-thaw cycles. Small volumes of anti-MMP12 antibody vial(s) may occasionally become entrapped in the seal of the product vial during shipment and storage. If necessary, briefly centrifuge the vial on a tabletop centrifuge to dislodge any liquid in the container`s cap. Certain products may require to ship with dry ice and additional dry ice fee may apply. Immunocytochemistry (ICC), Immunohistochemistry (IHC) - Formalin/Paraffin, ELISA (EIA), Western Blot (WB), IP, IF, FCM. Western Blot: Sample: Recombinant MMP12, Rat. DAB staining on IHC-P; Samples: Rat Stomach Tissue. 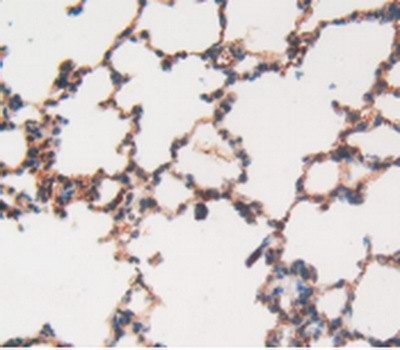 DAB staining on IHC-P; Samples: Rat Lung Tissue. 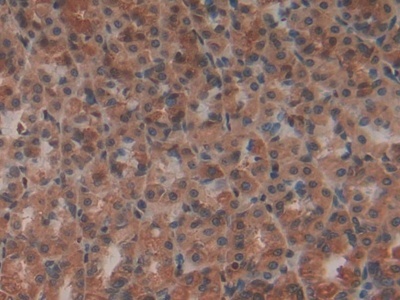 DAB staining on IHC-P; Samples: Rat Kidney Tissue. NCBI/Uniprot data below describe general gene information for MMP12. It may not necessarily be applicable to this product. MMP12: May be involved in tissue injury and remodeling. Has significant elastolytic activity. Can accept large and small amino acids at the P1' site, but has a preference for leucine. Aromatic or hydrophobic residues are preferred at the P1 site, with small hydrophobic residues (preferably alanine) occupying P3. Belongs to the peptidase M10A family. 1. Data indicate that MMP-1 and MMP-3 expressed predominated in synovia, whereas MMP-12 expression was higher in rheumatoid nodules, and higher MMP-7 expression in nodules that featured infiltrating monocyte/macrophage-producing MMP-7 protein.